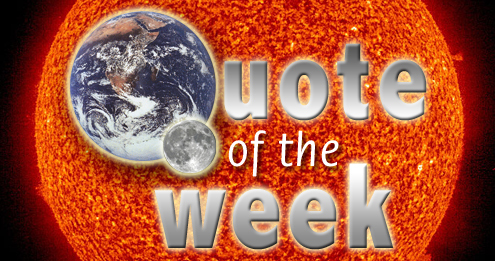 Quote of the Week – marketing the consensus before it's '97% Cooked' | Watts Up With That? In the SkS forum discussion about how to create this 97% consensus paper, there was a lot of discussion about how to market it. As far as methodology, quality control, etc. goes, not so much, which just goes to show that Cook et al. 2013 was little more than a marketing ploy under the guise of peer reviewed science. Meanwhile, Richard Tol continues to find errors in the paper data and methodology. Probably time to place your bets for retraction by the journal. I’d have bet that the paper would have been retracted weeks ago. That’s it’s been allowed to stand this long is a strong indictment of the sorry state of climate science. So Cook plans on doing this every year? :> What a hoot. I’ll mark my calendars. Wonder how long before Ari finds himself banned. By dictating the results beforehand, it seems pretty clear that Cook managed to avoid “wasting” any time on analysis whatsoever. The SKS site claims to be scientific but clearly their consensus project is purely political. Science is not a democracy. They might as well have printed out the papers and weighed them. The actual content does not seem to matter much. Seems to me that a lot of this is about ‘strengthening’ SkS, not about the consensus at all. I wonder what Gav and Mikey think about this blatant power grab by a cartoonist? And as they watch Real Climate sink deeper into torpor and irrelevance….they thought they were the future once…now just yesterday’s men…..
By the livin’ gawd that made you, you’re a better man than I am, Gunga Din! What a travesty. Now ERL must seriously consider retracting the paper, knowing that doing so will provide ammunition to viewpoints they oppose. Well, they did it to themselves, I suppose. Global Warming is a dying ‘brand’. You could liken it to the Australian Surf Clothing Brand, Billabong. Twenty years ago it was small and hip, to be seen wearing the label was a badge of coolness. Then it got big and held onto it’s popularity…until it got too big and today – to be seen wearing the very same label means that you’d just been to your local mall! The company is in dire straits it was once valued in the billions today its stock price has collapsed. The public was sold Global Warming like ice-cream on a sunny day, the summer is over now! Reminds me a lot of “Baghdad Bob” in Iraq declaring victory with Abrams Tanks cruising in the background. ” We have beaten down the Infidels”. I think they had a good idea of the results beforehand because everyone who isn’t drinking the Koolaid knows that the consensus about global warming is very real. No real mystery, except in the land of CO2-rise-might-be-natural. Scientific papers are often complicated and abstruse beasts, many bordering on the unfathomable. I know — I write and review them myself. So how does a single person accurately gauge the viewpoints of 2000 papers? That we sit and comment on this at all is an indicator of how deeply flawed Cook et al are. They can actually get something like this in print…a wan, half-witted attempt to prop up a consensus where none exists, nor SHOULD exist. Whassamatta, goodfellas? Didn’t you get the memo? It must be getting hot inside that bubble. That’s some science for you, right there. That paper has been withdrawn. So if SkS is to be the home of the CAGW consensus, how’s it doing on the site hits statistics compared to WUWT? Is their consensus as internet solid as that of WUWT? If the conclusions were foregone, why do the research at all? It was Cook’s duty to do everything in his power to ensure that results were accurate and impartial, no matter what he suspected the final conclusions would be. From the email postings, he clearly he failed in that duty. How Hilarious – Cooked Books & Co discussing marketing before the fraudulent scientific research was started. How embarrassing it must be for other CAGW followers to have these guys batting for you. Cook definitely is part of the consensus, which never falls into the trap of too much analysis and too little promotion. 1) The planet resists warming by increasing or decreasing clouds in the tropics thereby reflecting more or less sunlight off into space – negative feedback – as opposed to positive feedback. As observations and analysis does not support the extreme AGW hypothesis there has been a pathetic attempt to hide the data and analysis that disproves the extreme AGW hypothesis. That pathetic attempt will fail, as there is now observational evidence that the planet has started to cool in response to abrupt change to the solar magnetic cycle. As the cooling becomes evident to all, the tone of the discussions concerning climate ‘change’ will change. As a result of the extreme AGW propaganda billions upon billions of dollars have been spent on green scams that have resulted in no significant reduction in world CO2 emissions. Western governments are deeply in debt. The money spent on scams has reduced the amount of money available for education, health care, school construction, bridge repair, has increased the level of Western debit, and so on. Citizens have a limited amount of money to tax. The increase in atmospheric CO2 is unequivocally beneficial to biosphere. The CO2 crisis is the spending of billions upon billions dollars on scams. Because there are a lot of people motivated to lie about it, forestalling progress addressing one of the greatest threats we have ever faced. Don’t get out much, eh, Ryan? You assert that there is a consensus about the consensus about the reality of global warming. Perhaps it’s consensuses all the way down, eh? Feels real good here in this consensus! Fashionable and hip and all those good things! If Koolaid helps one to think clearly and independently, as a majority of folks here do, perhaps you should try some yourself. You could start with the Sour Grape flavor. “Perceived” is the magic word … they concede that the “consensus” is an illusion … just like their perception of science, illusionary. Cook’s work may be a crap piece of research, but it is certainly being milked for all it’s worth by the Guardian and others. So he is not so stupid after all and any subsequent retraction will as usual not be reported. Since the prominent “technical” skeptics, Watts, Mcintyre and many others follow the meme….”let’s talk science” the 97% crapola will never leave the public forum. It isn’t based on science to begin with, it’s a political posture. Most measuring their responses to the contrived “consensus” are cut from very similar academic and political left cloth, it should be no surprise if fudging climate fear for the “greater good” of the environment or having hacks like Cook conjure reports are standard procedures. So Morano and Delingpole get to do the heavy lifting about AGW motives and are falsely marginalized while technocrat skeptics express their disdain of “politics”. Why many skeptics behave this way is more interesting a discussion that trashing the idiotic 97% consensus claim. Why is the green science left exempt from public scrutiny of its politics in the first place? The motives to the informed of the AGW movement are rather obvious politically yet time and again they will be ignored or minimized in discussions and public statements. Euphemisms such as “activism” are thrown about that have little context to many in the public. It’s all a rather gutless adherence to political correctness that is well represented in AGW advocacy. If you accept logic and know AGW and “consensus” are driven by deep left-wing desires to control, central plan, regulate and have corrupted the science for that reason you should stand out and up and include that in your message even if you share related beliefs or politics. The current skeptic orthodoxy of political minimization enables AGW advocacy to thrive. It certainly doesn’t reflect reality. If the paper is destroyed, I will file a complaint and have the local news media retract their story on it and apologize; they have mislead the public by uncritically mistaking garbage for truth. Contact your local organization for press ethics or similar. I agree Ryan – the false science and misrepresentations of the CAGW by CO2 supporters is one of the greatest threats we’ve ever faced. It’s insidious nature perverts both science and politics. A microcosm for the larger AGW issue being marketed as ‘settled science’ since its inception? Even if the 97% figure were correct it has no meaning. The true marks of science are, firstly to make novel predictions, and secondly to build on the traditions of the greatest scientists and philosophers of science. Neither is the case. That John Cook massaged the figures just demonstrates the point. Alarmists have nothing positive to say. He is rolling out his “Do The Maths” tour in Auckland, Dunedin and Wellington between June 11 and 13. Despite Christchurch not making his schedule, former mayor Vicki Buck managed to organise a live stream from the Auckland event on June 11, with 350.org the climate change action advocate that is hosting McKibben’s tour. She arranged for the live stream to play, free to all, from 7pm at the Jack Mann Auditorium at University of Canterbury through the Unlimited School, which is temporarily based at the university. Buck writes the climate change blog Celsias. The voluntary Ministry of Awesome, which she helped set up, is helping spread word of the event in the city. That is not science. That is advertising. I wonder if he is angling for a new career with the Martin Agency? Yes, yes, I know you can’t get 97% out of any vote with a population of 5. You can’t and I can’t either…. but Cook “The Books” can! The secret SkS forum which WUWT wouldn’t cover at the time. Big mistake that one. LOL – thanks for the clip. But how did they get the toaster to pop on queue? SkS has defended itself by saying that when it has interviewed the authors, they’ve been more alarmist than their papers. That may be so. It would be worth knowing by surveying a random sample of authors–or maybe all of them. Then let’s say that global warming is a bust; instead, the planet cools for the next five years. That would give contrarians a powerful comeback the next time the consensus card is played–e.g., when it is claimed there is a consensus that the oceans are acidifying in a dangerous way. So Heartland should toss SkS a few million to conduct such a survey. And WUWT should set up a tip jar for it. the deeply unpopular and carbon taxing australian government was trying to spin a line last year about how good they were, based on the number of bills they had passed. As if sheer volume of new laws were somehow an indicator of quality government! The only threat is the forestalling of progress for humanity. If you were in any way concerned with emissions of CO2 being a threat, turn off your power guzzling PC, TV and appliances and sell your car (Assuming you have one). Alternatively, I could put you in touch with a few million Africans who’d drop their lifestyle for yours in a heartbeat! The fight is about memetic mindshare. Sounds like Ari is a skeptic who accidentally found SkepticalScience and mistakenly assumed they were skeptics. It was an invalid claim from the start and it was obvious. But your movement has most journalists on its side and repeats lies decades after their invention, like the Gelbspan Big Oil smear which just recently popped up on German environment minister Altmaier’s (a “conservative”!) website “klima sucht schutz”. So it’s a pretty all pervasive movement of lies. The USSR was built on lies as well and lasted for 60 years. I like the idea that there are 6000 neutral papers but if people find AGW support in them they should submit the text to SkS via an easy-to-use form. What if people find AGW rejection in them? Is there an equivalent easy-to-use form for that? The trouble is that the media have already bought the 97% meme, hook, line and sinker. This week I have picked up almost identical quotes in the Mail and Telegraph, saying 97% of 12000 papers, etc etc etc. I have already complained to the Press Complaints Commission, but it really is like trying to stop the tide. Wait a moment. What does increased CO2 do? Promotes greening of arid regions. What does Global Warming do -assuming for a moment the CO2AGW theory were not already falsified by the last 15 years of non-warming- ? Increases biodiversity. As warm regions are generally having a higher biodiversity than cold ones. So these are the things you call the greatest threat we have ever faced, a higher biodiversity and a greening of arid regions. And don’t come to me with sea level rise; coastal regions have been under threat of flooding throughout history so if they are not prepared now – like Long Island – that is entirely their mistake. There are two possibilities, either you are not able to think rationally or you have a vested interest in the CO2AGW gravy train. Evidence that the agenda of the ‘climatologists’ is not proof of the science but persuasion of the audience. Rhetoric over Logic. Oh well, one can only expect it, but its about time the scientific community actually started correcting these mistakes. It’s not “buying” Paul it’s “selling” from the same political tribe. You’re giving them credit for making “honest” mistakes. A usual skeptic failing I’m quite weary of. The consensus and media meme that goes with it is aimed at the public out of CORRUPTION and left-wing DOGMA to the Proletariat. It’s not because they’re stupid but that they are evil. Most media are operatives are not journalists seeking truth at all. What kind of world do you think you’re living in? Academics in this field, politicians, media and green interests are GUILTY as sin, they have upsurped the Republic with lies. There is no innocence or naivete involved in AGW leadership advocacy. Some skeptics are hated for this understanding while others skeptics dream of Purple Unicorns and finding common ground through reasoning. That’s what I call DENIAL of the facts and history of AGW totalitarian goals. Better to be honest and hated than the game being played for the most part by mainstream skeptics. The worst sort of intellectual appeasement given the facts at hand. Dirk, it’s a political meme at the core. Some will line their pockets in any opportunity but that isn’t the driver. It’s about left-wing ideology on a vast scale. The refusal to support this truth is central to the weak status and marginalization of skeptics as a whole. The lust to hate “big oil” and “regulate” predates global warming. That’s where the roots lay. I think you have the wrong end of the discussion it is cooling not warming that is the greatest problem facing earth. The actual debate should be when we go into the next glaciation and is the climate bi-stable? If it is bi-stable, how unstable does the climate become as the solar insolation value needed to tip the earth in glaciation is approached? New research shows the violent weather swings that occur during the descent into an ice age can occur within a decade. This is weather that could happen NOW not thousands of years from now if the climate is bi-stable. So what is the magic insolation value? That is the where research dollars should be spent. That “… sharp threshold, which must be near 416 Wm2…” is where the actual debate is. 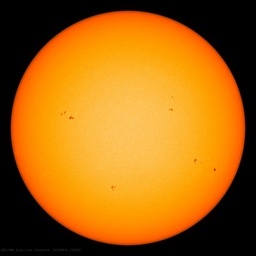 The take home is at the tipping point solar insolation the climate can change within a decade. of the globe.Similar events, including local warmings as large as 16°C, occurred repeatedly during the slide into and climb out of the last ice age…. “….Because the intensities of the 397 ka BP and present insolation minima are very similar, we conclude that under natural boundary conditions the present insolation minimum holds the potential to terminate the Holocene interglacial. Our findings support the Ruddiman hypothesis [Ruddiman, W., 2003. The Anthropogenic Greenhouse Era began thousands of years ago. Climate Change 61, 261–293], which proposes that early anthropogenic greenhouse gas emission prevented the inception of a glacial that would otherwise already have started…. ….Below, we consider each inception in detail in relation to astronomical and CO2 changes (Figs. 3 and 4). MIS 5e: glacial inception … large decline in summer insolation (110 W m−2 ) and associated feedbacks during MIS 5e appear to have been sufficient to lead to inception, despite the relatively high CO2 concentrations of 256 ± 3 ppmv. MIS 7e: a large decline in summer insolation (92 W m−2 ) coupled with a considerable drop in CO2 concentrations to 244.5 ± 0.5 ppmv …. The short interglacial duration (9 kyr) is likely a result of the strong eccentricity-precession variations and the occurrence of the obliquity minimum (232 kyr BP) near the insolation minimum (231 kyr BP). MIS 9e: glacial inception … occurred at the summer insolation minimum… Insolation and CO2 declined by 78 W m−2 (to 463 W m−2 ) and 43 ppmv (to 256 ± 3 ppmv), respectively. MIS 15a: glacial inception occurred…, when summer insolation was 480 W m−2 and CO2 concentrations 240 ± 5 ppmv. The timing of inception post-dates the insolation minimum by 5 kyr and pre-dates the obliquity minimum by 5 kyr. Discussion of new paper above: Can we predict the duration of an interglacial? So far no one has actually pinned down the magic solar insolation number (probably because there are other forcings involved) but they all seem to think keeping the CO2 levels high is a really good idea if we don’t want to head into glaciation especially since another bit of research found: Carbon starvation in glacial trees recovered from the La Brea tar pits, southern California. A fitting ‘punishment’ for those pushing the CO2 is EVIL scam.